The Westborough Community Land Trust (WCLT) awarded two $1,000 scholarships and one honorable mention to graduating Westborough High School (WHS) seniors in 2014. Selections were made on the basis of essays written for WCLT’s annual Earth Day essay contest. 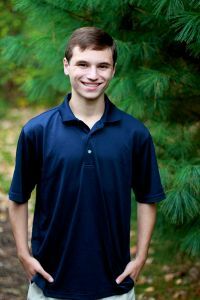 Jeffrey Hannan won a scholarship for his essay describing his interest and efforts in ecological conservation involving both long-term projects and personal habits. He will attend Washington University. 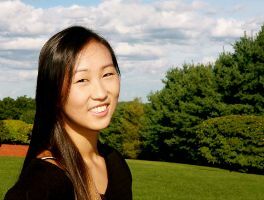 Melissa Zhang received a scholarship for her essay about her efforts and ideas for cleaning up and preserving a small local pond. She plans to attend the University of California Los Angeles (UCLA) in the fall. Kevin Koenigsberg was recognized with an honorable mention for his essay describing his personal experience in promoting sustainability through recycling, composting, and growing food for the family. He will attend the University of Connecticut. Sustainable living in Westborough and beyond: Discuss ways that you and others of your generation could live more sustainably on Earth. Include a description of changes you have made in your own life that have enabled you or your family to live more sustainably. I have always been interested in ecologic conservation, but not until very recently have I begun to reflect this interest with my actions. My turning point occurred last summer, when I took a conservation and community service trip to the Dominican Republic. While some of the work my group did focused on societal and infrastructural problems in the villages we visited, what I found most rewarding was the conservation work. We travelled to a small mountain village where improper farming techniques had left the mountainside bereft of trees. As a result the entire village was then prone to flooding in the summer; the snow runoff from the mountaintop had no trees to stop its motion. My group planted trees in a rough contour around the village. When these planted trees mature they and their offspring will shield the village from flooding, as well as begin to repopulate the relatively barren mountainside. Ecological efforts on large scales like this are fascinating to me. I think that oftentimes the most productive conservation projects are long-term undertakings. I have felt a personal obligation to enter the fight for sustainability, as my generation has more power than any before to change the world’s ecosystems, for better or worse. I am attending college next fall to begin my studies of chemistry and biochemistry. I hope to one day work in a research laboratory, where I can use my knowledge to find solutions to ecological problems on a molecular scale. For example, currently researchers are working on ways to purify water and extract water from aqueous solutions. By finding new ways to access safe, drinkable water we can reduce our harvesting of fresh water found in natural lakes and rivers. This in turn reduces degradation of our planet’s natural fresh water habitats. I can see myself working on a similar project, using chemistry and other natural sciences to find innovative solutions to ecological problems. Change does not solely exist on a global level, however. In fact, a great deal of the conservation and ecological work I’ve done has been in terms of Westborough’s own energy consumption. During my sophomore year members of my chemistry class and I started a project to develop a clean energy alternative for our town. We designed a system of solar panels that would be placed on the High School roof to reduce the need for powering the high school through consumption of traditional energy sources (electricity, oil, etc.). Due to budgetary restrictions the project ultimately proved unfeasible, but my enthusiasm for energy and ecological conservation has persisted. Lastly, I have worked to make changes in my own life to reduce my impact on the environment. I have worked out a carpool system with my friends when we volunteer at the Food Bank in Worcester. This reduces carbon emissions, and also works as a great recruiting tool for finding more volunteers. I’ve also taken to riding my bike to destinations during the warmer months. This way I can stay in shape during the summer, while also limiting the amount of pollution and waste I emit from driving my car. I also plan to take my interest in conservation to college. Recently, Washington University in St. Louis has been constructing a massive new dormitory system, named the Delmar Loop dorms, which focus on sustainable living. Once I become an upperclassman I plan on living in one of these new buildings to control what materials I put into the atmosphere and my overall effect on the environment. I’ve only just begun to turn my new conservation techniques into habits, but already I feel better about what I’m doing for the environment. While long-term projects are the most effective way to cause ecological change, I’ve found that even the smallest of actions can be just as rewarding. Protection of Westborough's natural heritage and special places: Describe a place in Westborough that you think is especially important to protect, and explain why. Propose ways to protect or sustain this place or others that are part of Westborough's natural heritage, and describe how you have helped or can help. When my mother established her Montessori school in Westborough nine years ago, I was still a little girl. Some of my fondest memories from that age include roaming the plaza in which we would be starting this business. While I was there, I discovered a tiny little pond towards the back of the building that was teeming with cattails, toads, crickets, fish, and all sorts of other wildlife species. A small path of rocks in the middle of the pond separated one body of water from the other. This tiny pond may not be well-known, prominent, or large in size. However, I believe that this is a practical and important place to initiate positive change. It’s an unbelievably small fraction of our community—but if we worked to preserve this area, it would not only benefit the numerous organisms living there, but it also has the potential to catalyze larger-scale efforts. Whenever my mother brought me along to work with her, I would dedicate my time to wandering around this pond with my younger brother. As a curious child, I was incredibly fond of the outdoors. I would gingerly navigate our way across the rock path and listen to the soothing hum of noises. On some occasions, I would get lucky and spot a nearby toad! It felt like such a treat to be able to crouch down and peer at such an interesting-looking creature that was only a few feet away. This little world comes to mind whenever I think about how the threats of pollution and global warming lurk right in our backyards. A growing amount of waste from littering and dumpsters ends up in the pond’s waters. This trash creates a horrible living environment for the thousands of small organisms that call this pond home. Since large construction vehicles and trucks are constantly present in and around the plaza, the concentration of carbon dioxide in the air has also reached extremely high levels. With all of these negative human influences present, it’s impossible not to notice how prevalent our carbon footprint is. Furthermore, students at the Montessori school make frequent trips to the pond to appreciate nature and gain learning experiences outside the classroom. The pond is a small ecosystem that functions as a teaching tool for many children. What if they also saw wrappers strewing the pond’s surface? Soda cans amidst the cattails? If we allowed these students to observe how our destructive lifestyles are overwhelming the natural beauty here, we would be setting a terrible precedent for younger generations. Thus, it is vital that we make every effort to preserve this pond…and I believe that we are more than capable of doing so. What solutions could we use to resolve the aforementioned problems? It would go a long way if we ensured that trash from the plaza was not interfering with the wildlife living there. I would start with organizing clean-up efforts. With a small team of volunteers, we would carefully walk around the pond, removing all of the deteriorating rubbish that has accumulated in the grass, rocks, and water. Although the trash would be removed for the time being, we would need to figure out a way to maintain this litter-free condition. One of my ideas is to place a small, hand-made sign in front of the pond, reminding people that this is a delicate habitat inhabited by dozens of species. People would be less likely to toss their garbage in an area if they got a sense of what others were doing to protect this space. Another proposal that simultaneously benefits the pond and also raises awareness is to plant trees and create a small garden in the surrounding areas. By planting species native to the region that would not disrupt the current biome, we would be able to alleviate some of the harm produced by the high carbon dioxide levels as a result of burning fossil fuels. I think the best move would be to enlist the help of young children and students in this project. Participating in an effort like this would allow them to learn how necessary it is to preserve environments around us. It could give them ideas for future projects, an understanding of the importance of teamwork, and a lifelong desire to protect nature. This is a challenge that I am enthusiastic to take on. The pond may be small, but I am confident that our mission will produce a massive impact.